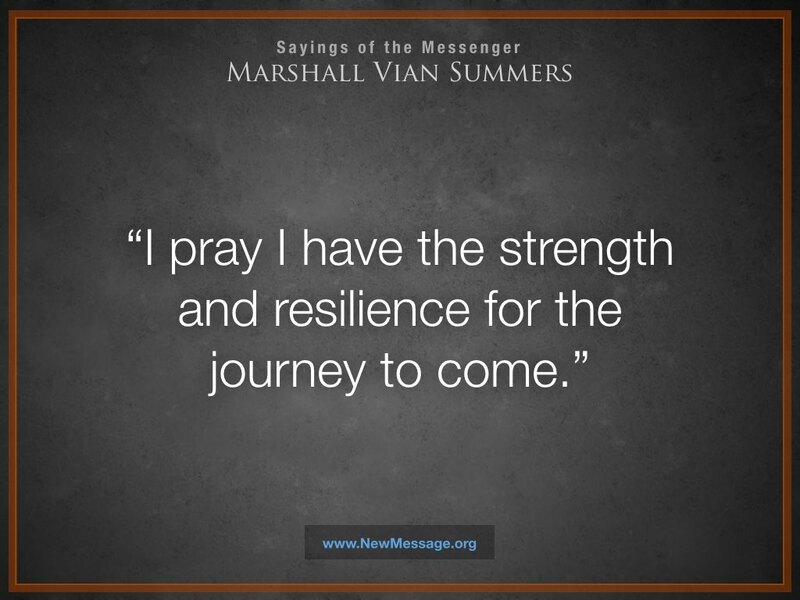 The Sayings of the Messenger are those statements attributed to Marshall Vian Summers, Messenger of the New Message from God. These statements were recorded by those closest to the Messenger, across his life and in locations around the world, and are archived here as a gift to the world and to all who seek to learn and live the New Message both now and into the future. Here you will find the gift of Knowledge and wisdom, given by the one sent from the Angelic Assembly to receive God’s new message for humanity.